Laser hair removal is a non-invasive and relatively painless procedure that rids your body of unwanted hair for up to 17 weeks at a time. Using an Intense Pulsed Light (IPL) system, the procedure directs bursts of light energy onto the treatment site, removing hair and hindering further growth. So if you’re tired of shaving, waxing and plucking away excess hair on your face, upper lip, bikini line, neck, arms, legs or any other trouble spots, Estetica Institute of the Palm Beaches can help. Performed or supervised by a physician, our Medi-Spa utilizes the most advanced equipment and techniques. If you’d like to learn more about laser hair removal procedures Palm Beach, don’t hesitate to set up your initial consultation today. We can answer all of your questions, discuss average laser hair removal costs and even show you some laser hair removal before and after photos, to help guide you in your decision. Performed in the doctor’s office, under the supervision of one of our highly skilled surgeons, laser hair removal has become a favorite amongst our patients. Your trained technician will apply a topical anesthetic to sensitive areas, and provide you with special eyewear to protect your eyes. The technician will then use a small hand piece that administers the Intense Pulsed Light (IPL) system, directing bursts of light at the hair follicles. The procedure can take anywhere from 10 minutes to one hour, depending on the area to be treated. Am I Good Candidate For Laser Hair Removal? What Kind Of Post-Operative Laser Hair Removal Care Can I Expect? Laser hair removal is generally painless and requires little down time. As a result, you should be able to resume normal activities immediately. You may, however, experience some swelling, soreness or redness of the treatment area. Your doctor will likely advise you to stay out of the sun and to wear sunblock if you’re outdoors. You should also gently cleanse the area with a mild soap, and apply any lotions or ointments prescribed to you by your doctor. It’s also important not to wax or use depilatory creams before or after undergoing laser hair removal. What Are The Typical Results Of Laser Hair Removal? Results can vary depending on the area of treatment you choose. Upper-body treatments typically last seven to 11 weeks. Mid-body results can last up to 16 weeks and leg treatments can last up to 17 weeks. Most of our patients are thrilled with their smooth, hair-free skin, even though it may take several sessions to achieve optimal results. They no longer have to undergo painful waxing, plucking or shaving, and they’re more confident overall. To see the results first-hand, take some time to browse through laser hair removal before and after photos. 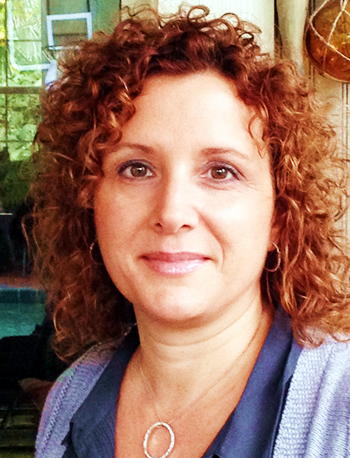 Patty Pullano is a licensed medical electrologist and laser hair removal specialist. Who has worked in the Esthetic Industry for over 25 years. She also holds a cosmetologist license since 1985. She has been with Estetica Institute since 2008 and her in-depth experience also include being certified in Candela lasers and Nova lash extensions. Patty is a member of the society of clinical and medical hair removal as well as electrolysis association of Florida.